EXCLUSIVE AT NET-A-PORTER.COM. 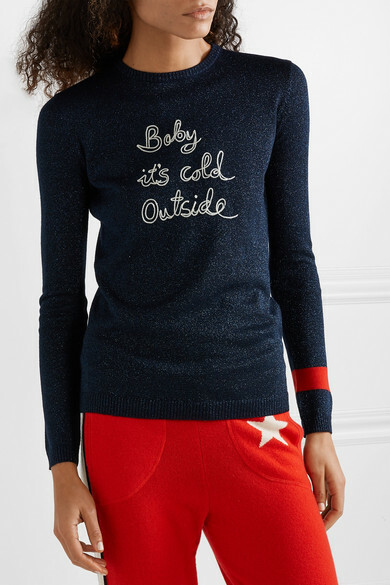 Bella Freud curated a special ski capsule just for us to keep you looking chic while you're hitting the slopes or lounging fireside back at the lodge. 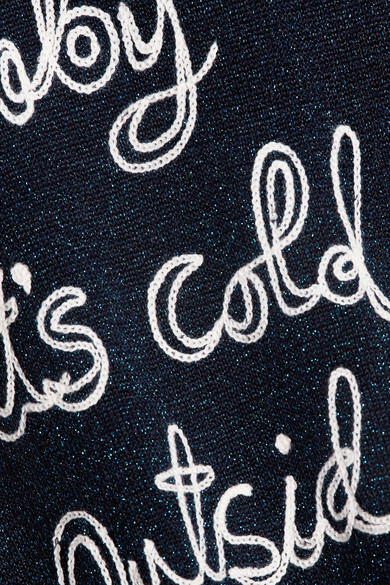 This wool-blend sweater is embroidered with 'Baby it's Cold Outside' and has a glittery finish that reminds us of small snow flurries. 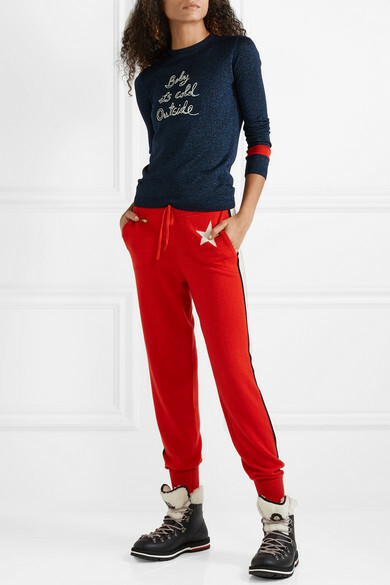 Style it with jeans or these track pants from the same collection. Shown here with: Moncler Ankle boots.